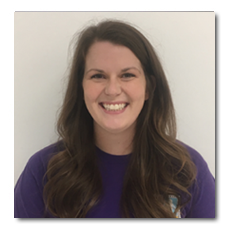 Shara is a Maryland licensed Occupational Therapist who received her Bachelors and Master’s degree in occupational therapy from Towson University in December 2012. She has been employed as an occupational therapist with Coordinated Movements since Spring 2013. Shara is a certified Interactive Metronome provider and has experience with Rhythmic Movement training. She is currently working to become a therapy dog team member who intends to use animal assisted therapy within the pediatric setting.